Mohammad Mushfiqur Rahim is a cricketer and captain of the Bangladeshi national team. 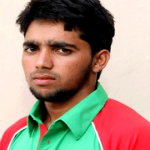 Mushfiqur is best known as a Run Machine in the Bangladesh Cricket Team, the title is given by Mashrafe Bin Mortaza. He is the ever Bangladeshi player who has made Test double ton in the 12 years history of test cricket arena. At the age of 16, he made his Test debut in May 2005, during Bangladesh’s first tour of England. Rahim made his ODI debut in August 2006 against Zimbabwe. 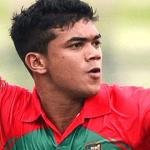 He was vice-captain Bangladesh team between August 2009 and December 2010. 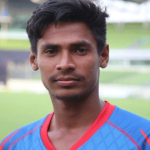 He also represents Rajshahi Division, Duronto Rajshahi, and Sylhet Royals. Mohammad Mushfiqur Rahim was born on 1 September 1988 to Mahbub Habib and his mother, Rahima Khatun. He passed SSC from Bogra Zilla School. Later he enrolled in the Department of History at Jahangirnagar University. Rahim loved his mother very much because she renders inoperative. She called Rahim, Mona. 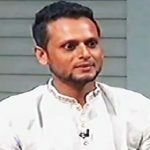 He is a BKSP student like Shakib Al Hasan from BKSP he learned cricket. He started her career as a player of Bangladesh Under-19s. He came to the spotlight after showing good performance in 2007 world cup against India. Ashraful and Rahim showed their terrific performance by doing individual highest score in the test cricket against Sri Lanka on March 2013 at Galle test when Rahim hits in the maiden two hundred. 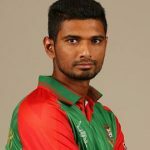 Rahim was named Bangladesh captain, exchange of Shakib Al Hasan after a disappointing tour of Zimbabwe, on 20 September 2011. Mushfiqur Rahim got married with Jannatul Kifayet in 2014, who is the sister in law of Bangladeshi another famous cricketer Mahmudullah Riyad. Bangladesh, Bangladesh Under-19s, Rajshahi Division, Sylhet Division, Duronto Rajshahi and Sylhet Royals. 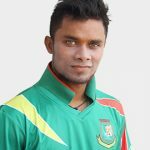 Nasir is my most favourite player in national team..after him i like most Sabbir. And out of the country i like most Afridi and Mr famous Sangga… Maxwell and Ab d also my favourite player.. Happy Birtrhday Mushfiq. Many many happy returns of the day. I respect u from heart.You are a great person for world cricket.You could sustain more times keeping yourself as a successful team leader of Bangladesh.Go ahead with more speed,We can expect more from you.